Kind Snacks can put the word "healthy" back on its products and website after the FDA reversed a ruling that had forced the company to remove the term. In March 2015, the FDA sent a letter to Kind asking that the word "healthy" be removed from four of its wrappers and from its website. The FDA believed the term was inaccurate because the bars were high in fat. Kind products have high levels of unsaturated fat because they include several varieties of nuts. However, they're low in sugar. 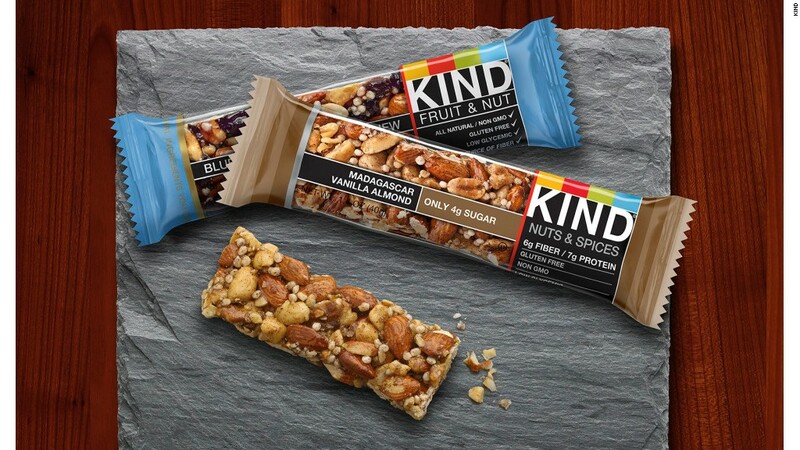 After getting the letter from the FDA, Kind removed the word "healthy" from its labels. But it argued that nuts, like salmon and avocados, have high levels of unsaturated fat, which is part of a healthy diet. Kind also pointed out that foods like fat-free chocolate pudding, sugary cereals and low-fat toaster pastries are defined as "healthy," even though they have high levels of sugar. In a statement on Tuesday, Kind said it was "pleased" with the FDA's decision but reiterated that the administration's guidelines need to be "updated." Current FDA guidelines were introduced roughly 20 years ago. The existing FDA regulations say foods cannot be labeled as healthy if they contain more than three grams of total fat or one gram of saturated fat per serving. Since Kind products have nuts, they contain "nutritious fats that exceed the amount allowed under this standard," according to the company. The FDA's reversal comes after Kind filed a petition in December asking the FDA to redefine the word "healthy." The petition included signatures from several experts who agree with Kind. "At Kind, healthy has always been more than just a word on a label, so when we were asked to remove the term from our wrappers, it cut to the core of who we are," CEO and founder Daniel Lubetzky said.